Do you ever look back at your teenage years and just cringe? Oh boy do I ever! Sometimes I wish I could go back in time and talk some sense into myself. However, I know that if I didn’t make all the choices I did in my past, I wouldn’t be where I am today. I would love to warn myself to stay away from certain relationships, and friendships. But every person who impacted my life, negatively or positively, shaped me to be the person I am now. I don’t know for sure if there are any changes that could mean my life today would be better, so I wouldn’t want to tell myself to change anything too drastically. That being said, I would love to give myself a little advice, just to make my teen years go a little more smoothly. There are lessons I wish I learned a lot sooner. I would tell myself not to take things too seriously, and that most of the things that went wrong aren’t really the end of the world. I would tell myself to savour my teenage years because I will miss them someday. But I would also tell myself that the future is great, and when things seem really bad, they won’t last and everything will be ok. Most of all, I would encourage myself to not worry about what other people think of me, and to be confident in myself because the only people who’s opinions matter are the ones that will like you, just the way you are. 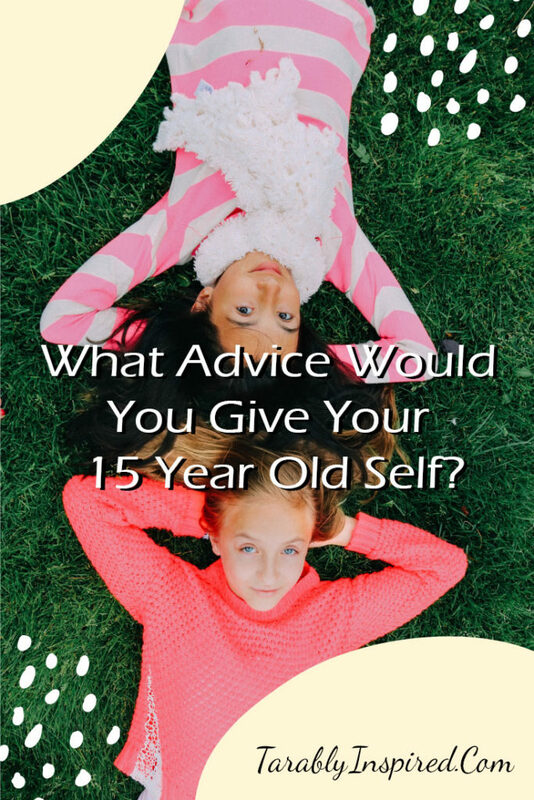 Let me know in the comments what advice you would give yourself. Did any of the advice mentioned above resonate with you? Are you going to use any of the advice going forward? I would love to hear from you!